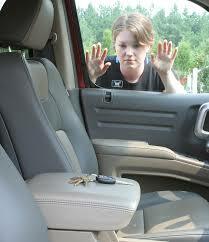 There is no worse time to see your keys though the locked window of your car, as when you are in a rush. 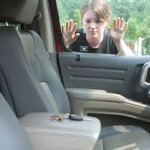 But there is no need to panic, just pick up the phone and give us a call at locksmith Basildon. We are always open, and we are always ready to come to your assistance. With making haste we will be with you on site in no time at all, and help you be on your way to where you are going without too much stress and difficulty. So regardless of what time it is in the morning, day or late evening, give us a call at locksmith Basildon, and let us help you solve your emergency lock out situation. The lockout line is always open, and should you ever need us feel free to give us a call. Our emergency lockout service is always available, and our team is always ready to assist and help you find a resolution to your issue. With focus on non-destructive methods in many lockout scenarios where the keys have been left inside of the home we can aid without any need for replacing the lock. Should you however have lost your keys, it’s locksmith Basildon’s suggestion to change your locks to ensure that the security integrity of your home is kept. Taking the time to consider your own habits and their influence on the security of your home can help create a more secure environment for you and your family. Bad habits such as leaving keys under the doormat, not locking the doors while you pop to the shop, leaving small windows open and keeping valuable items and car keys in open view can be all that it takes for someone to enter your home. Simple tips and tricks such as locking garages, side or back gates, always setting alarms, changing codes on a frequent basis, securing the garden shed with a strong and secure lock and placing a beware the dog sign can all help to discourage attackers.